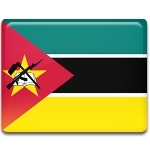 Heroes' Day is celebrated annually in Mozambique on February 3. It honors the soldiers, who died in the Mozambican War of Independence. 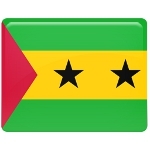 The Democratic Republic of São Tomé and Príncipe annually celebrates Martyrs' Day on February 3. 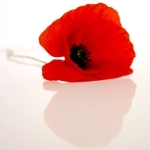 This holiday commemorates the death of the soldiers, who died in the fights for independence from Portugal. In the traditional Chinese calendar, the spring season begins in early February and ends in early May, consisting of six solar terms: Lichun, Yushui, Jingzhe, Chunfen, Qingming, and Guyu. 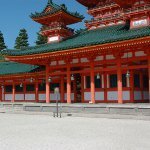 In some East Asian cultures, there are special celebrations dedicated to the beginning of spring. The Japanese one is named Setsubun. 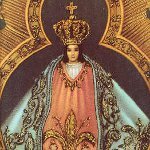 February 3 is Day of the Virgin of Suyapa, the patroness of Honduras. This day commemorates rediscovery of stolen statue of Virgin of Suyapa. 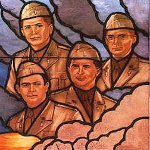 February 3 is Four Chaplains Day in the USA. This day commemorates the events of February 3, 1943, when the troop ship USAT Dorchester sank. 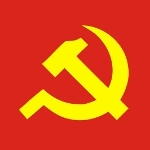 February 3 is annual observance of Communist Party of Vietnam Foundation Anniversary. This is not a public holiday, but the observance is very popular for the citizens of Vietnam. February 3 is annual celebration of Veterans' Day in Thailand. This day commemorates the foundation day of the War Veterans Organization of Thailand. 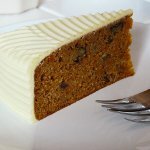 February 3 is National Carrot Cake Day. You believe it or not, but this cake deserves to have its own holiday. National Wear Red Day® is observed in the United States on the first Friday in February. 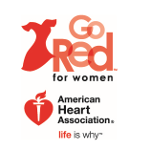 It is an annual campaign aimed raising awareness of heart disease and stroke in women. 2009 Died: Sheng-yen, Chinese monk and scholar, founder of the Dharma Drum Mountain, one of the most influential Buddhist organizations in Chinese Buddhism. 2006 Died: Al Lewis, American actor, best known for his role as Count Dracula lookalike "Grandpa Munster" in the CBS's The Munsters. 1995 Eileen Collins became the first woman astronaut to pilot the Space Shuttle as mission STS-63 got underway from Kennedy Space Center in Florida. 1989 Died: John Cassavetes, American actor, pioneer of American independent film. Known for his roles in Rosemary's Baby and The Dirty Dozen. 1986 Born: Rebel Wilson, Australian actress and stand-up comedian, became popular after playing in Bridesmaids, but her real breakthrough was a role in Bargain. 1984 The first embryo transfer in the history from one woman to another resulting in a live birth was made at Harbor-UCLA Medical Center. 1972 A 7-day blizzard, which would kill at least 4,000 people, began in Iran, making it the deadliest snowstorm in history. 1970 Born: Warwick Davis, English actor and television presenter, played in number of movies, including the Harry Potter films (as Professor Filius Flitwick). Currently the presenter of Celebrity Squares. 1966 The unmanned Soviet Luna 9 spacecraft made the first controlled rocket assisted landing on the Moon. 1964 Died: Albert Richardson, English leading architect of the first half of the 20th century. One of his most notable works is the Manchester Opera House. 1959 Died: The Big Bopper (American singer-songwriter and guitarist), Buddy Holly (American singer-songwriter and guitarist), Ritchie Valens (American singer-songwriter and guitarist) died in a plane crush near Clear Lake, Iowa. The death of 3 musicians is dubbed in the Don McLean Song American Pie as The Day the Music Died. 1958 Benelux Economic Union was founded, thus created a testing ground for a later European Economic Community. 1956 Died: Émile Borel, French mathematician, known for founding work in the areas of measure theory and probability. He introduced the amusing thought experiment that entered popular culture as infinite monkey theorem. 1949 Born: Arthur Kane, American bass player, known for the pioneering glam rock band the New York Dolls, one of the first bands in the early punk rock scene. 1945 Berlin was bombed by 1,000 B-17s. The bombing as a part of Operation Thunderclap resulted in deaths of between 2,500 to 3,000 and dehousing another 120,000. 1931 258 were killed in the Hawke's Bay earthquake, that became New Zealand's worst natural disaster. 1924 Died: Woodrow Wilson, American politician, 28th President of the United States, Nobel Peace Prize laureate for his sponsorship of the League of Nations. 1918 The Twin Peaks Tunnel in San Fransisco began service. Its length is 11,920 feet (3,633 meters) and today this tunnel remains one of the world's longest tunnels for streetcars. 1904 Born: Pretty Boy Floyd, American bank robber who operated in the Midwest and West Southern Central States. Although Floyd was robber, he was viewed positively by the general public. Whenever Floyd robbed a bank, the would destroy mortgage documents, that freed many citizens of their debts. 1894 Born: Norman Rockwell, American painter and illustrator, best known for the cover illustration of everyday life scenarios created for The Sunday Evening Post magazine and covers for Boy's Life calendars by Boy Scouts of America. 1883 Died: Richard Wagner, German Director and Composer, known for his operas Der fliegende Holländer (The Flying Dutchman), Lohengrin, Tristan und Isolde (Tristan and Isolde), Die Meistersinger von Nürnber (The Master-Singers of Nuremberg). 1874 Died: Lunalilo of Hawaii, known in the Hawaiian history as the most liberal king, but the shortest-reigning monarch. He died at the age of 39 from tuberculosis and his reign lasted only for 1 year and 25 days. 1874 Born: Gertrude Stein, American poet and art collector, known for her literary innovations and pioneering of Modernist literature. She became popular only after publishing the The Autobiography of Alice B. Toklas, which became a literary bestseller. 1857 Born: Giuseppe Moretti, Italian sculptor, popular in the USA for his public monuments in bronze and marble. Moretti has designed the Vulcan statue, the largest cast iron statue in the world, and the city symbol of Birmingham, Alabama. 1830 Born: Robert Gascoyne-Cecil, 3rd Marquess of Salisbury, English politician, the first British Prime Minister of the 20th century and the last Prime Minister to head his full administration from the House of Lords. 1821 Born: Elizabeth Blackwell, American physician, the first woman who received a medical degree in the U.S. as well as the first woman in the UK Medical Register. Blackwell pioneered promotion medical education of women in the United States and became the social and moral reformer in both the U.S. and UK. 1809 Born: Felix Mendelssohn, German pianist, composer and conductor, best known for his Wedding March. 1690 The first paper money in the Americas were issued by the colony of Massachusetts. 1468 Died: Johannes Gutenberg, German printer and publisher. He introduced printing to Europe after had invented movable type printing, thus starting Printing Revolution. 1377 More than 2,000 people slaughtered by Papal Troops in the Cesena, Italy.